The book grabbed me immediately, at least the first one third held me mesmerized. I could not put it down. Then the main character arrived at the secret location. The characters and bodies began to pile up. It became difficult to keep up with each character 's background and relevance. I began to lose interest when the love affair got in gear. It became corny and boring. The last quarter of the book seemed to be a rush job to tie up all of the loose ends. I was disappointed in the writing, and a description of each of 21 character's background was totally unnecessary. I would not recommend this book to a friend. I am shocked by how much I ended up liking this book. The story grabbed me immediately and I never lost interest. This was one of those books where just as soon as I thought I knew where the story was going, something would happen and I would realize that I was completely wrong. This really was the kind of book that can really hard to put down. This is the first book in the Casey Duncan series and after reading the first two books in the series, I do recommend that this series be read in order. This book really does set the groundwork for the next book in the series. This was a book that started in one manner and by the time it was over it was a completely different book. I loved that this book kept me guessing until the very end. Casey is a detective. A detective with a past. She is very protective of her friend, Diana, who has been the victim of domestic violence. She has even moved before in order to support her friend. Diana learns about a town where people like her can go to hide and desperately wants to go. She wants Casey to come along with her. They end up going to Rockton, a town off the grid, in the Canadian wilderness. Rockton is filled with interesting characters. Casey is put to work right away with Sheriff Dalton who more or less runs the town. The mystery in this story really took a lot of twists and turns that were completely unexpected. I had no idea which characters could be trusted from one moment to the next. I had to keep the pages turning just to find out what would happen. The writing was wonderful. I was sucked into the story from the first sentence. Literally the first sentence. The pacing of the story was perfectly done. There were points in the book that were focused on really getting to know the characters while others were actively working on the mystery. The mystery was complex and believable. 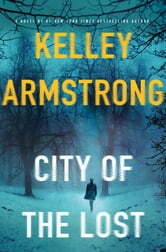 I honestly cannot believe that this is the first book by Kelley Armstrong that I have read because it seems that I am really missing out. I would highly recommend this book to mystery thriller fans. 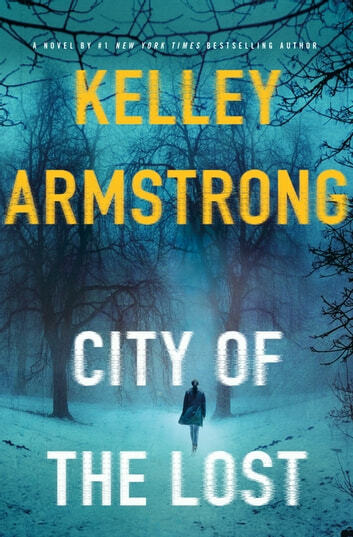 Although Kelley Armstrong is known for writing books filled with supernatural elements, this book is a straight up mystery thriller. And it is a good one. Wow. Just, wow. This book has so much going on its amazing it was only this big. Casey Butler has so many layers to her character she emerges from the story fully formed before the third chapter. A whole town out in the middle of the wilds of Canda is totally belivably and the way Kelly has written this book she has done a ton of research to back it up. I understand this is the first in a series and I can't wait to read the next book! A page turner, good for those days when you want a good mystery but not graphic or gory. I enjoyed.